Interactivism is a boutique UX/UI agency based in Los Angeles. We design and develop products that are engaging, efficient and easy to use for clients ranging from Dollar Shave Club to JPL/NASA. Our services include UX/UI design, User Research, custom Web & Software Development and Strategy. 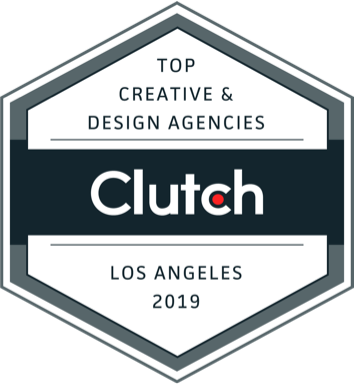 We are extremely excited to have been named one of the leading UX/UI design agencies in Los Angeles by Clutch – a B2B ratings and reviews firm in Washington D.C.
Interactivism adapted to changes and challenges with ease throughout our partnership. They could extract ideas and needs from our team, understand them, and communicate them well. Their execution was outstanding; they provided interactive imagery that responds to people’s inputs and outputs. Interactivism is spot on. They are true to their word and excel at project management. Their complete reliability is one of my favorite things about working together. Whenever we discuss the timing and cadence of a complex project, they accurately estimate and deliver the work. Their knowledge of UX/UI was tremendous. I’ve worked with several other providers, and, although Interactivism wasn’t the least expensive option, they were by far the best. We are honored to receive the Clutch 2019 Leaders Award. It really is a group effort – from the amazing individuals that make up Interactivism, to the clients that trust us and allow us to push the envelope in the name of great user experience.